This extremely lightweight EOD response pack is a new backpack-mounted kit made to provide a two man search team with significant „real time“ capability at minimum weight and bulk. All the search tools contained in the response backpack have undergone rigorous testing in hostile and demanding operations. 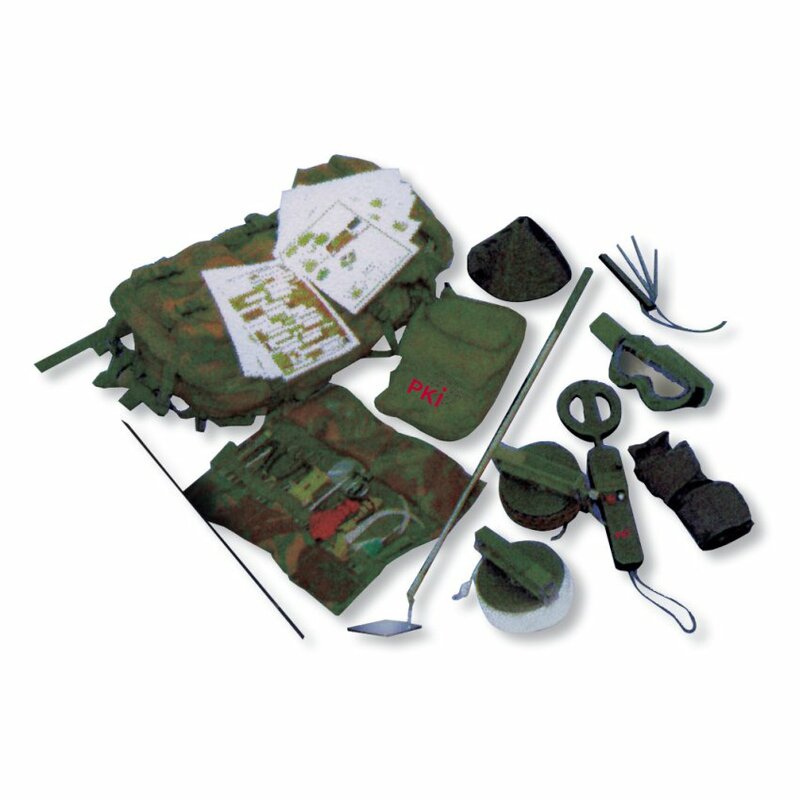 The kit includes a new and innovative lightweight hook and line kit, an advanced metal detector and other search equipment, as well an ultra-light Vulcan disruptor and a new fuse removal key.